Without consulting any of the people who will actually have to do the work, an executive director promises an old friend that his organization will take on a complex project, leaving his staff feeling out of the loop and slightly disgruntled. Twelve busy staff members spend multiple hours discussing a fairly minor issue–whether the organization should hire a summer intern–but no one is clear who has the final say, and the meeting ends without a decision. A job candidate asks about how major decisions are made in an organization, and everyone she speaks to gives a slightly different answer. Unfortunately, these scenarios are not uncommon. Decision-making can be difficult for reasons ranging from vague reporting structures to the complexities that naturally arise when an organization is growing and more people have seats at the leadership table. And those difficulties can be a source of frustration for everyone involved. There are a variety of tools available to diagnose the source of decision-making problems and to map out how key decisions should be made going forward. Among them, a tool called RAPID has been highly effective, and also easily adaptable to different situations, team sizes, and types of organizations. “R” stands for “recommender”–the person who initiates or drives the process. The “R” is the “go to” person who sticks with the process from start to finish, ensures that others understand what they need to do, and keeps things moving along. In other words, the “R” does most of the work to secure the decision. “I” stands for “input.” An “I” must be consulted before a decision is made. Although an “I” has the right to be heard, he or she does not have a vote or a veto. Including someone as an “I” says that the organization values his or her opinion. “A” stands for an individual who needs to “agree with” or “approve” a decision. An “A” is essentially an “I” with more power; an “A” has a vote and a veto. Naming someone an “A” means that the organization needs their support. Generally, the more people with an “A,” the more time and effort it takes to make a decision. “D” means “decide.” The “D” has final authority, and is the only individual who can commit the organization to action–hiring someone, spending money, or making a legally-binding agreement. Things get done only after the “D” gives the okay. Generally, the “D” is one person. But if, for example, a board of directors has a parliamentary voting structure, then the “D” would mean the group of people who constitute the winning vote. “P” stands for “perform.” This is a person who carries out the decision once it has been made. Often, an individual who is a “P” is also an “I.” You’ve no doubt heard at least one person say something like, “This is a mess. If only they had asked me before they decided. I could have told them…” It’s unlikely that a “P” who is also an “I” will feel the need to say that. Finally, involving the right people in decision-making can drive better decisions, which means more impact. RAPID helps organizations achieve their goals–more efficiently, and more effectively. Most organizations can benefit from RAPID. The keys are: understanding how the tool works, figuring out what your organization needs from RAPID, and assessing whether the timing is right to introduce it. Implementing RAPID can mean trading a highly participatory decision-making culture for a faster and more efficient one. Whether the tradeoff is appropriate depends on the nature of the decision. The fact is that most decisions in most organizations are best made quickly and efficiently, using very few “A’s” and one “D.” For example, an ED may need to be able to select and hire key staff members at his or her discretion. Sometimes, though, a decision is better made by consensus (where everyone has an “A”), or even by voting (such as requiring 51 percent of the board for a “D”). Using RAPID entails mapping how decisions are, and will be, made. In doing so, it essentially exposes the way in which power flows through the organization. As a result, RAPID can reveal when what has been touted as a highly participatory decision-making culture is in fact more show than substance. Making power explicit in this way can cause discomfort, particularly in organizations long accustomed to functioning with their original founder and a familial set of relationships. RAPID makes relationships more “professional,” and for some organizations, this is a difficult step to take. Using RAPID means trading ambiguity for transparency. Some organizations’ leaders prefer to leave control of certain issues a little bit ambiguous. For example, what constitutes a strategic change that needs to go to the board, versus a tactical decision that is within the purview of the ED? In reality, of course, each decision requires some sort of judgment call. Someone must choose whether or not to move a decision into the RAPID process–even if he or she is not officially an “R”! But once RAPID is introduced, ambiguity is no longer an option. Is this the right time and place for your organization to use RAPID? Is your organization ready to use RAPID? To find out, you can ask yourself the following questions. But even if it turns out that RAPID is not the right choice for your organization at this time, the process of figuring that out–using the possibility of RAPID as a diagnostic–will likely add value by providing some clarity about how your organization functions. Is there is a shared sense of frustration with decision-making across the organization? When people across an organization feel that decisions take too long or that the wrong people are involved, RAPID can be a useful tool. If this concern isn’t shared, introducing RAPID can generate more heat than light. Those who feel that decision-making is fine will not see why RAPID is relevant. And even those who see that there are some problems in the decision-making process, but also understand how things work, may see the process as scary and threatening, or even just a waste of time. Is decision-making the real problem? If the leadership and management team are good, but frustrated with how decisions get made, then RAPID can likely help. But if the real problem is the organization’s leadership, or dissonance around values, or even lack of alignment on the mission, then RAPID will not help. It might also be the wrong time for RAPID if the organization is in flux. Are the organization’s leaders personally ready for RAPID? If the people in power are uncomfortable making that power explicit, they should not attempt RAPID, however difficult decision-making may be. RAPID in this context will only make things worse. Small, growing organizations need nurturing. Many function well with the original founder and a familial set of relationships. Can you allow enough time to decide how to decide? Changing how decisions are made strikes at the heart of most organizations. It means making power explicit, which at best makes people nervous. It might mean empowering some people, and taking others out of the loop, if only for a particular decision. People whose roles are thrust into the spotlight often have strong points of view and feelings. Hearing these out, and working through to the right solution takes time. While the acronym RAPID captures a key benefit of the tool–the ability to make decisions more swiftly–it can also suggest to people that this is a process to be rushed. It is not. What follows are some guidelines for getting the most out of RAPID, based on the experiences of organizations that have worked with the tool. Make the case for the tool before you introduce it. Act like an “R.” Tell the organization what you want to do and why. Share your view that the current team can make decisions more effectively and efficiently. Lay out the process and tell people where they will or will not be involved. Make sure that everyone understands the tool. Carve off a few key decisions to start. Picking a handful of decisions that are causing the most pain can be a great way to start. You’ll get support to relieve the pain. Don’t put more than a dozen such decisions on the list at the outset, or the process will stall. If you can fix the critical decisions, then everyone will know that you can fix others too. Make a plan, and pace yourself and your organization. Implementation of this tool is worth getting right, so lay out a formal work plan for the process. Since doing this goes to the core of how you work, it will be important to invite key points of view as you create the plan. RAPID-guided decisions that result in big changes will need managing, so you need to know when you will be making key decisions and putting them into action. Understand that many people will need to adjust to the roles they are assigned in the RAPID process, and anticipate anxiety. The process of assigning roles is best done iteratively and expeditiously. However, without firm leadership, this phase of decision-making can be interminable and explosive. Managing inclusion can be tricky, not least because people can feel excluded or alienated if they are no longer going to be involved in decisions in the way they had thought they were. Others can be vulnerable because their power is exposed. Understand that RAPID is not a communication tool. It is a simple way to diagnose and prescribe how to make decisions. It does not tell you how to communicate those decisions once they are made or which team members should be responsible for that communication. Once RAPID is being used, step back and review the whole. Take the time to get some distance and see if it all fits together. Does the new way of making key decisions make sense? Do responsibilities and accountabilities match roles? Does the work balance fairly? Do you have buy-in from the key leaders? How does it feel? Are you looking forward to 8:30 tomorrow morning? One of the things we like about RAPID is that it can be useful even when it is not used in its entirety. Some leaders, after introducing the tool, end up using it only to diagnose the problematic issues in their decision-making processes. Others go on to take the ideas behind RAPID and build on them to create their own unique decision-making processes. Keep in mind, though, that once RAPID is in use, the genie is out of the bottle. Much of its value comes from taking the wraps off how decisions are made. Once all is clear, it is hard to put things back under wraps again. If your first foray with RAPID is a success, then your team will want to use it again. As the organization grows and becomes more complex, it will become more useful to help delegate authority and accountability. Adapted for Leadership Matters from the Bridgespan Group article “RAPID Decision-Making: What it is, why we like it, and how to get the most out of it,” by Jon Huggett and Caitrin Moran. 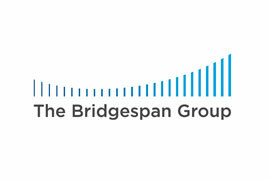 The full article can be found on the Bridgespan Group website.